Rina's Rainbow: Reasons Why Babypalooza Bazaar is Awesome! (Plus, a Giveaway!!!) WINNER ANNOUNCED! Reasons Why Babypalooza Bazaar is Awesome! (Plus, a Giveaway!!!) WINNER ANNOUNCED! There have been lots of amazing baby and mommy bazaars in Manila. 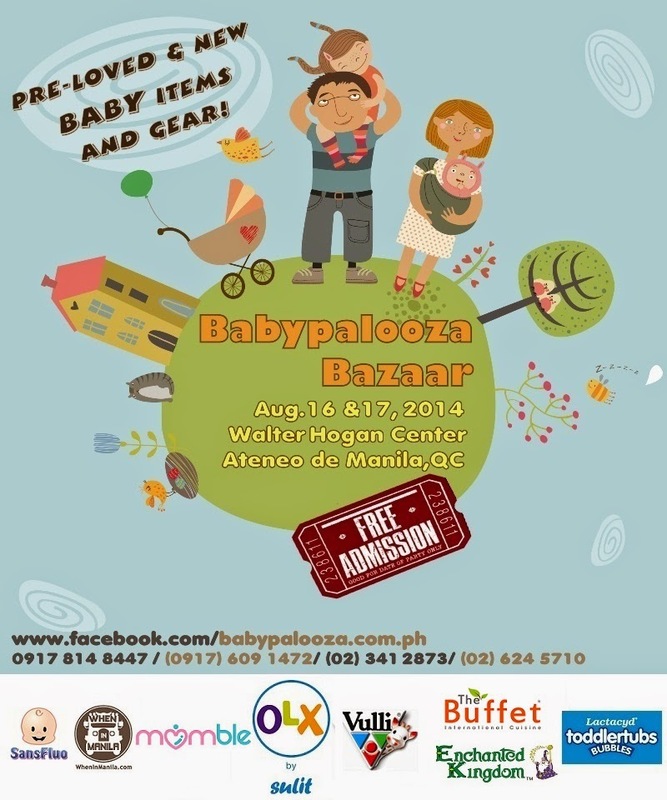 And one of them is Babypalooza Bazaar which is happening this month of August! Admittedly I haven't been to one in a long time since Rain switched from infant to toddler. I probably should. I'm sure I'm missing out on a lot of new toddler stuff. Shame on me! So I hope I'll see you all there! But first, here are the reasons why Babypalooza Bazaar is an event us moms shouldn't miss! 1.) 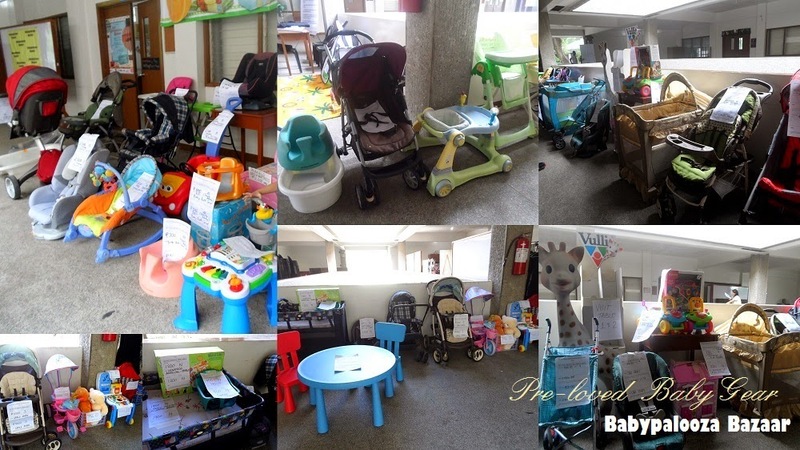 Aside from finding new and latest stuff for babies, kids, and moms, and moms-to-be, they also showcase gently used (also known as pre-loved) items! 3,) There is a Babypalooza Family Room, where kids can hang out and play, where moms can breastfeed or change their baby's diapers, and most of all, where dads can hang out and play candy crush or something while their wives scout the whole venue for amazing finds! 6.) And last but not the least.... FREE ENTRANCE! ... I'm doing a GIVEAWAY with Babypalooza and Zyji!!!! Get a chance to win a 5-piece Baby Essentials Set from Zyji! These attractive cloth is made from 100% cotton, and can be used as burp cloths, bath cloths, can absorb sweat, and as flat cloth diapers (aka lampin). It also comes in blue, and I believe there's another floral print. These Zyji cloth diapers will really stand out against other plain-looking lampins! Babypalooza bazaar will be getting in touch with you any time now. Thanks so much everyone for joining! And until the next giveaway! - Additional special gift from the Babypalooza team if the prize is claimed during the bazaar on August 16 or 17 from 10am to 7pm. - If winner is unable to attend the bazaar, prize will be shipped on or before August 31, 2014. Good luck! And see you all at the Babypalooza Bazzar on August 16 & 17, 10 am to 7 pm, Walter Hogan Conference Center, Ateneo de Manila in Quezon City!